Steamboat Springs Transit will operate additional bus service during the Winter Carnival Street Events and Night Extravaganza Saturday and during the day Sunday, Feb. 11. Extra unscheduled buses will run today and tonight to transport people to and from the evening festivities. While Lincoln Avenue is closed, buses will use the Oak Street detour. Temporary bus stops will be located at Fifth and Oak, Seventh and Oak and Ninth and Oak. Buses will also stop at the Yellow Line’s 10th and Oak stop, next to City Hall. Once Lincoln reopens, buses will return to their normal routes. Saturday and Sunday nights, the last buses will operate: from the Stockbridge toward the Mountain until 2:30 a.m.; from the Gondola Transit Center toward the condominiums until 2:50 a.m.; from the Gondola Transit Center toward downtown until 3:15 a.m.; and from downtown toward the west (Third Street) until 3:26 a.m. 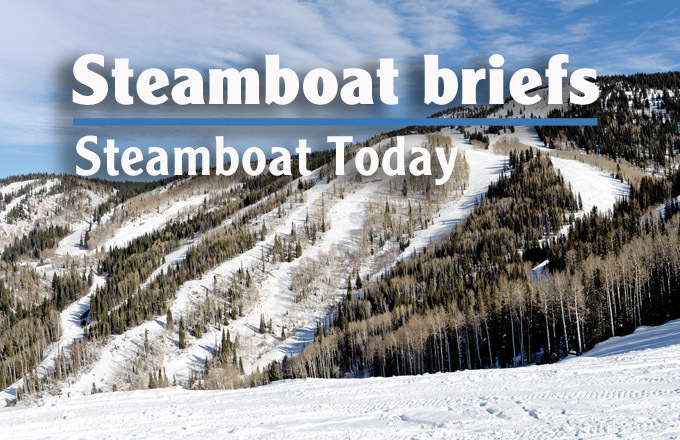 The 105th Steamboat Springs Winter Carnival began Wednesday, and the city of Steamboat Springs will be closing several roads and trails in preparation for hosting the festivities. Lincoln Avenue from Fifth to 11th streets will be closed at 2 a.m. Saturday for the Street Events. During the closure, traffic will be detoured along Oak Street. At the conclusion of the Street Events, crews will plow the snow to the parking lanes and reopen Lincoln Avenue. The Sunday morning Lincoln closure takes effect at 4 a.m. with detours again onto Oak Street. In addition, Yampa Street will be closed Sunday morning for parade staging. With the Diamond Hitch Parade taking place after the street events, these closures will remain in effect until about 2 p.m.
At the conclusion of the parade, city crews will push snow to the side of Lincoln for removal Monday when the last closure goes into place at 2 a.m.
All trails that access Emerald Mountain including Blackmere Trail will be closed for public safety from 4 to 9 p.m. Saturday as crews set up and launch fireworks for the Night Extravaganza. Signage will be posted at all trailheads. Peter White, of Steamboat Springs, has been named to the dean’s list at DePauw University for the fall 2017 semester. White was among 766 students named to the list by achieving a grade point average of 3.5 or higher. Tickets are available for Steamboat Unplugged, a fundraiser that is being held in conjunction with WinterWonderGrass, from 5:30 to 9 p.m. Feb. 21 in a private home setting. The event features talent from the sold-out festival and will include food, drinks and private musical performances with artists from Leftover Salmon, Yonder Mountain String Band, Elephant Revival and more. This event is sponsored by The Paoli Group and benefits the mentoring programs of Partners in Routt County. Visit partnersrouttcounty.org/steamboatunplugged to purchase tickets. YVCF administers more than 20 different scholarships that are available to Routt and Moffat county graduating seniors and continuing education students who are seeking a college education or professional development in the trades. A full list of scholarships is available at yvcf.org/scholarships. The Yampa Valley Community Foundation awarded 161 scholarships totaling $183,650 for the 2017-18 school year that assisted Yampa Valley students seeking both technical and four-year degrees. The deadline to apply is 4 p.m. April 6.